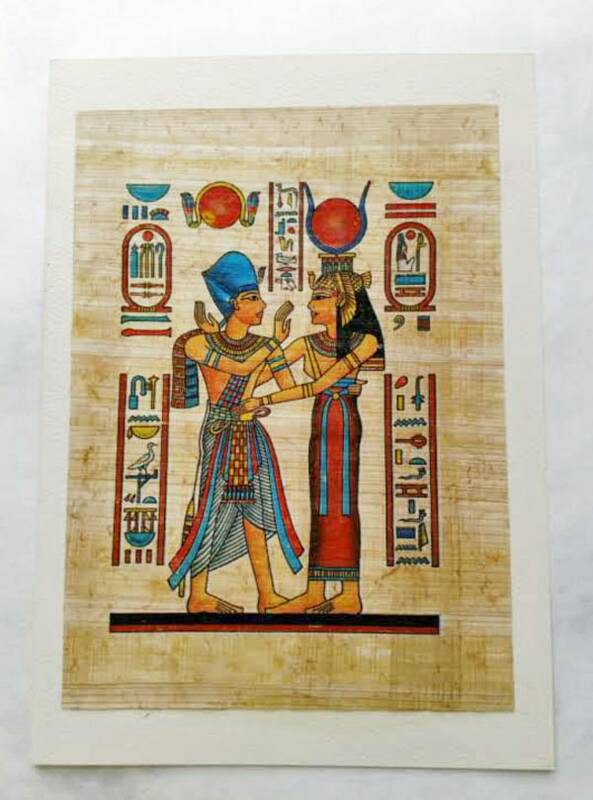 This card shows a King and Queen in a lovely embrace surrounded by colorful cartouches and hieroglyphics. A perfect card for the man or woman in your life or as an anniversary card for the a friend or relative! 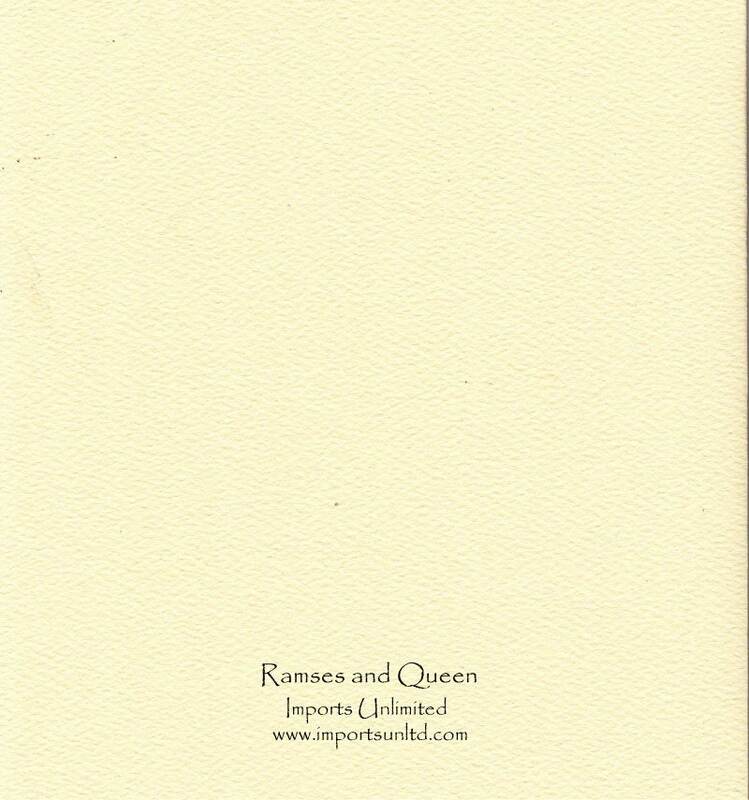 Our cards are blank on the inside and are mounted on quality ivory card stock. They measure 5 x7 inches. They are protected by a plastic sleeve. Each handmade note card is a piece of art. 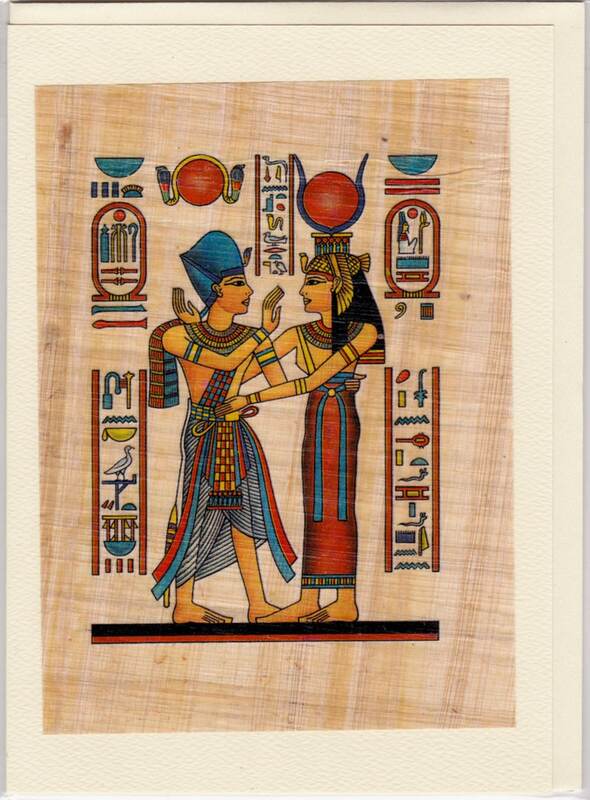 These cards are made with quality Egyptian papyrus. They cannot be found in grocery stores or gift shops. These cards are one of a kind! Sending a handmade note card is a reflection of how much you care. It's fun to receive a card in the mail that has not been just plucked off the grocery store rack! The note cards are 5" x 7" folded and include ivory envelopes. They are neatly packaged in a sealed clear cello bag to preserve and protect the Papyrus. Whether you are sending a nice note or need an inexpensive gift our genuine Papyrus imported from Egypt is the perfect solution.